Posted in: 1 Pageant Pages, 2 Shout-out-Looks. Tagged: Beauty with a Purpose, Katarina Rodriguez, Manushi Chhillar, Megan Young, Miss World 2018, Stephanie del Valle, Veruska Ljubisaljevic. We all know by now that Miss Philippines Katarina Rodriguez was unable to win the Round 2 Head—To-Head Challenge for Miss World 2018. She was edged out by Miss Venezuela Veruska Ljubisaljevic. And it all boiled down to going overtime with the answers. Katarina overspent her minute and a half and that costed her a precious demerit that allowed the Venezuelan to upend her sincere efforts to defend her now-viral BWP Advocacy. Megan Young voted for Katarina, Stephanie went for Veruska, while Manushi went against Katarina due to going overtime. Still, Katarina is not exactly back to Square One because there are talks that she is a strong contender for the Beauty With A Purpose Fast-Track. 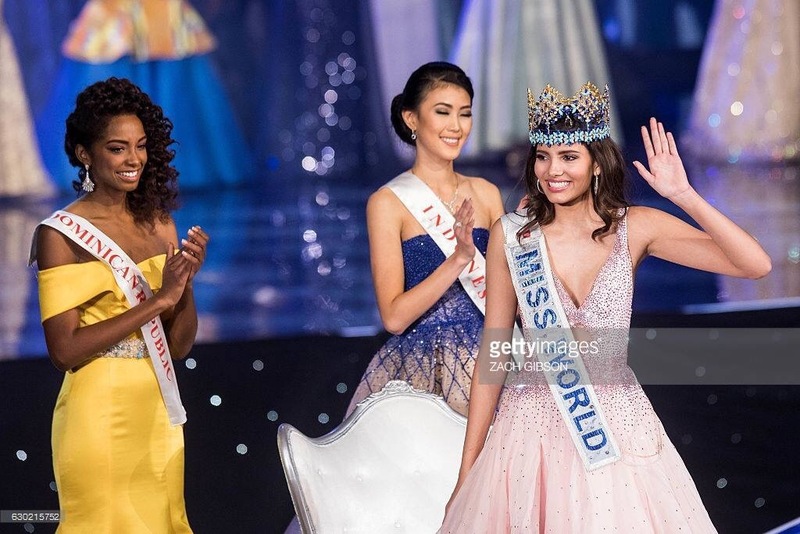 Miss World will have another round of voting that will begin at 7 pm this December 7 (Friday). The voting will last for 24 hours in time for the coronation on November 8. For this round of voting, it is important for candidates to have robust support from other continents. Voting will be on a per continent basis such that the country with the highest vote in each continent will get the continent’s one vote. Each continent gets one vote in electing the next Miss World. In other words, aside from the seated judges who each get a vote in determing Miss World 2018, the six continents will act as six additional judges each with a single vote. Here’s the catch: Only the votes casted for the soon-to-be-determined Top 5 will be counted from the 24-hour voting window. When (not if) Miss Philippines Katarina Rodriguez makes the Top 5 and she scores the highest vote among the Top 5 countries in Asia, Africa, Carribean and Europe for example. She will automatically get their 1 vote each to get 4 votes on top of the votes that she will get from the judges. 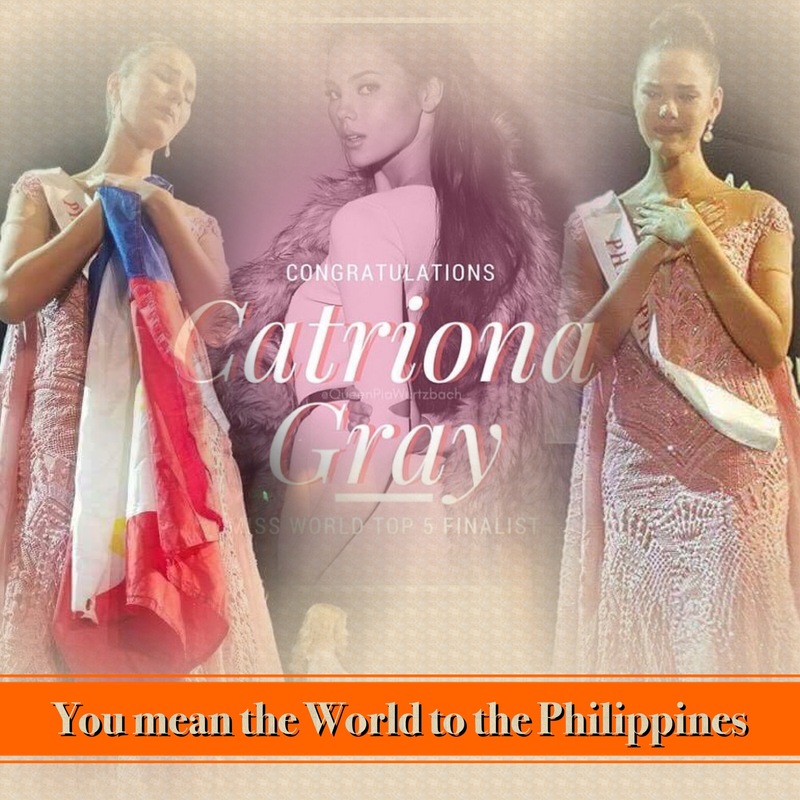 You mean the (Miss) World to the Philippines, Catriona Gray! Posted in: 1 Pageant Pages, 2 Shout-out-Looks. Tagged: Catriona Gray, Miss World 2016, Miss World Philippines 2016, Stephanie del Valle. 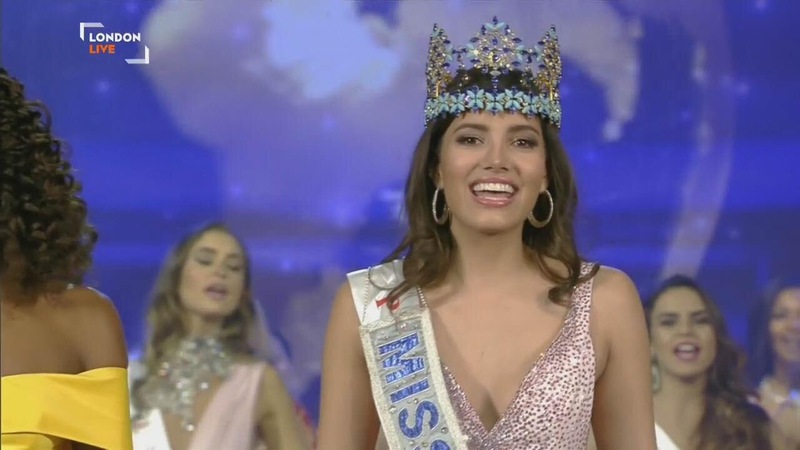 There is a new Miss World and she is Stephanie del Valle of Puerto Rico. Our very own Catriona Gray made it till the Top 5. She was stopped on her tracks at that point and the entire Philippines is asking why after her two splendid Q&A turns in the Top 10 (with host Megan Young) and the Top 5 (with Jason Cook and where she answered what looked like a very appropriate question – almost prophetic if things worked in our favor – from Miss World 2015 Mireia Lalaguna). What happened during the judges’ deliberations? With the answers given by the Top 5, it was crystal-clear that Miss Philippines delivered a reply that would have easily made her soar to the crown. Or were their reactions on the reverse that giving out a solid presentation of her views on why she should be the next Miss World made them feel as if she is too good to be true? Were the placements of two ladies from the Carribean in the Top 3 courtesy of an influential judge in the panel? And let us not go to the 3rd place finish of Miss Indonesia because her BWAP (Beauty With A Purpose) win could have justified that ranking. In the eyes of the Filipinos, Catriona is a clear winner. If the decision-makers preferred someone else ahead of her (regardless of the Q&As), then it’s a matter out of our hands. The verdict has been announced, and Puerto Rico just claimed its 2nd Miss World victory. PS. A concerned US-based reader sent me this observation. Take it with a grain of salt, or charge everything to experience if you will. Posted in: 1 Pageant Pages, 2 Shout-out-Looks. Tagged: Catriona Gray, Evelyn Njiambi, Mireia Lalaguna, Miss World 2016, Natasha Manuela, Stephanie del Valle, Yaritza Reyes. Stephanie del Valle of Puerto Rico is the 66th Miss World. She now succeeds Spain’s Mireia Lalaguna. 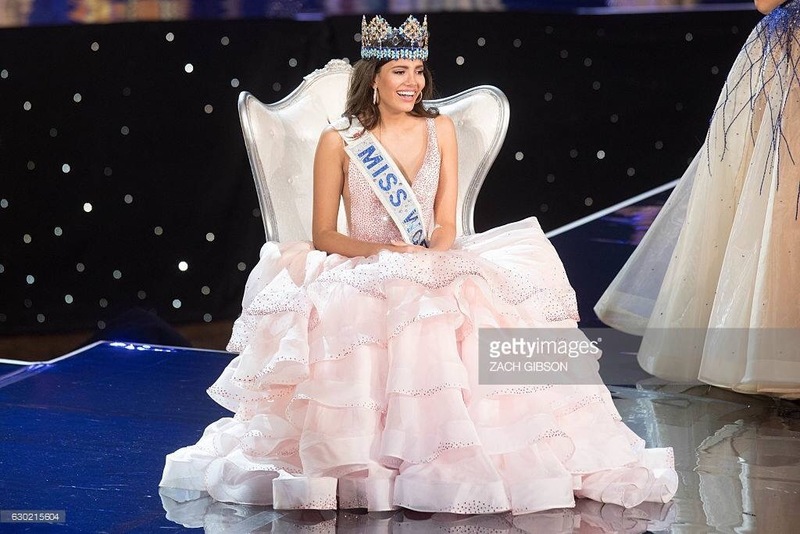 Yaritza Reyes of the Dominican Republic was named 1st Runner-Up, with Natasha Manuela of Indonesia (who also won Beauty with a Purpose) getting 2nd Runner-Up. Catriona Gray of the Philippines and Evelyn Njiambi of Kenya made up the remaining ladies in the Top 5. The other candidates who placed in the Top 10 are Belgium, Brazil, China PR, USA, Korea and Mongolia (Fan Vote).